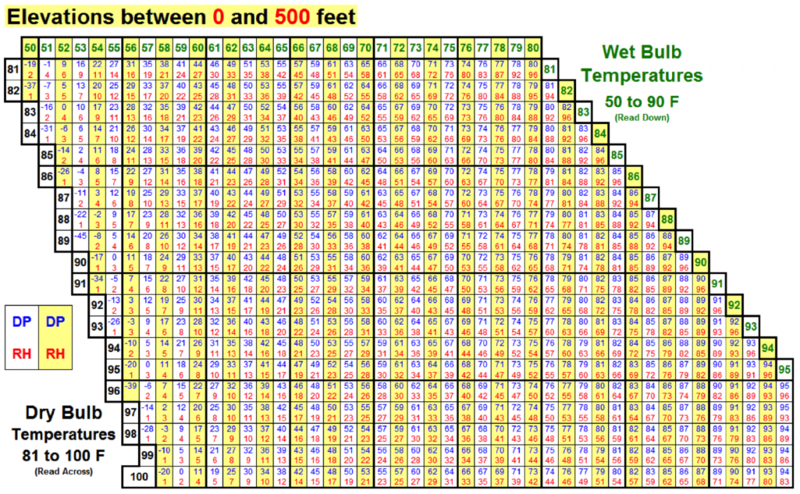 Elevation 0-500 feet (0-300 feet in Alaska), 30 in. 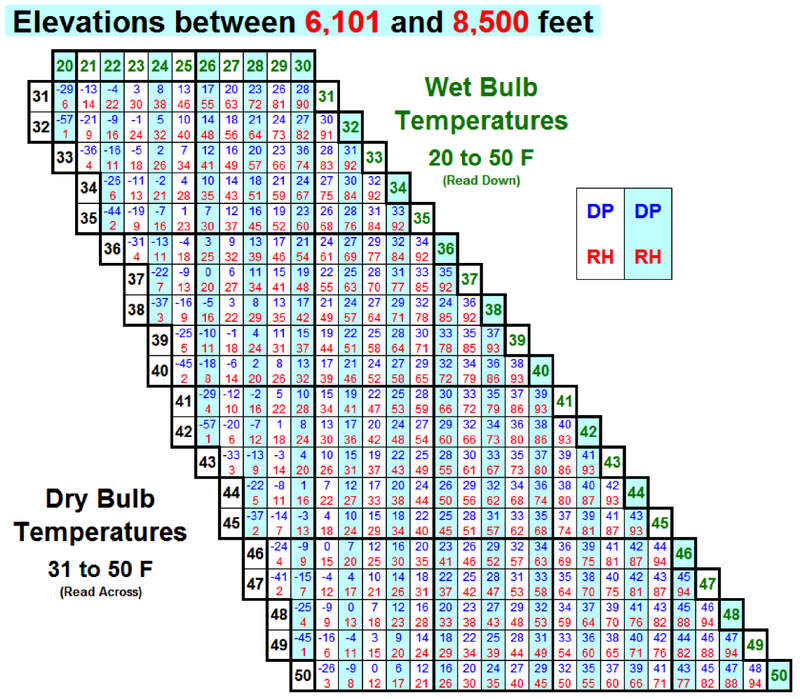 Elevation 501-1,900 feet (301-1,700 feet in Alaska), 29 in. 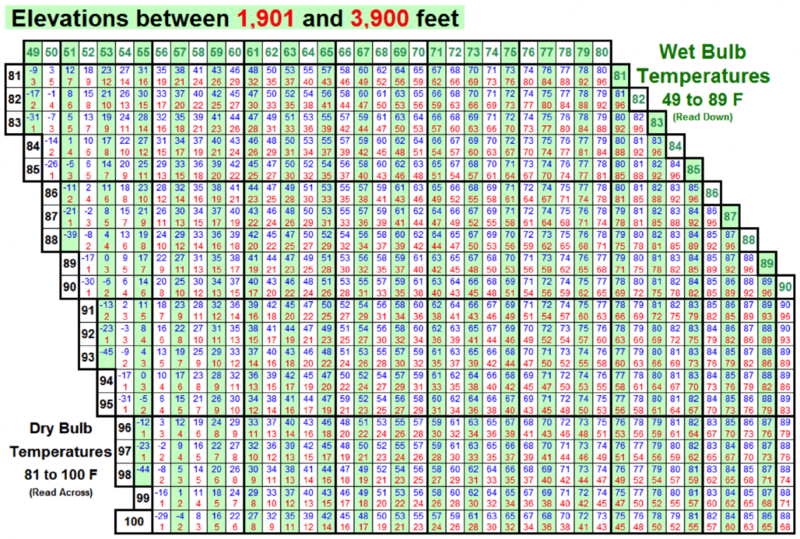 Elevation 1,901-3,900 feet (1,701-3,600 feet in Alaska), 27 in. 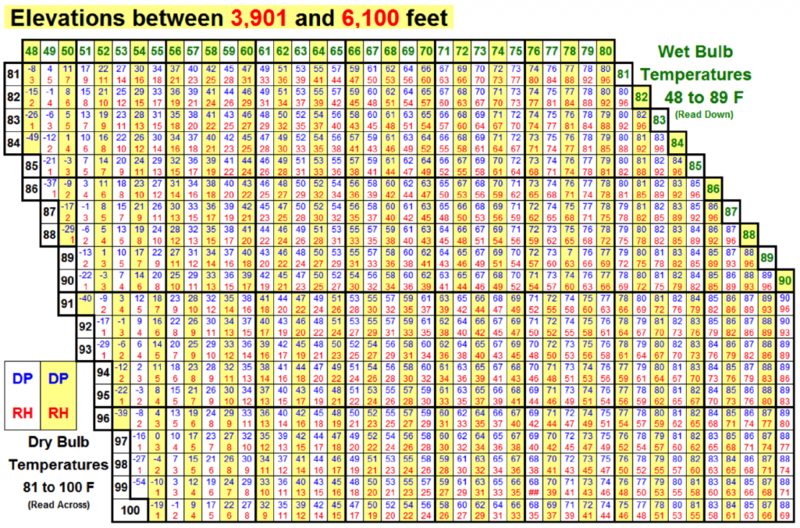 Elevation 3,901-6,100 feet (3,601-5,700 feet in Alaska), 25 in. 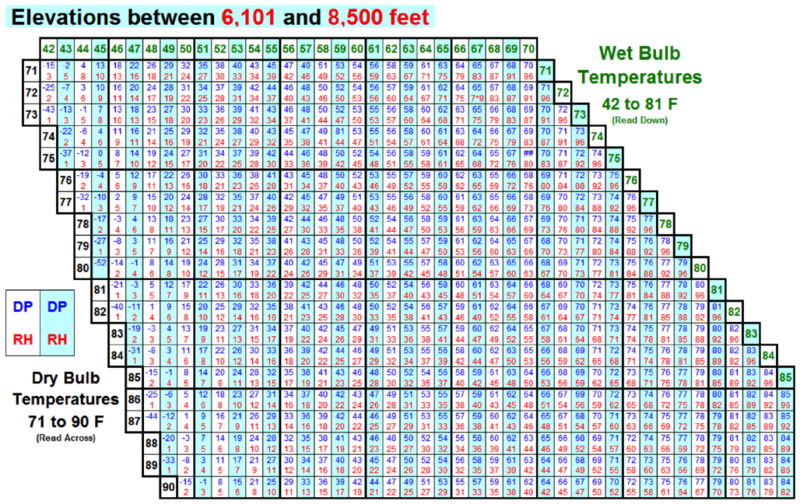 Elevation 6,101-8,500 feet (5,701-7,900 feet in Alaska), 23 in. 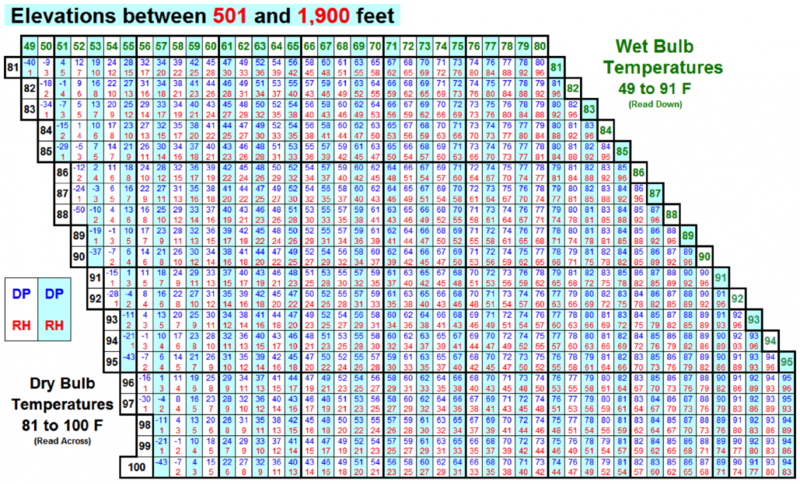 Elevation 8,501-11,000 feet (above 7,900 feet in Alaska), 21 in. 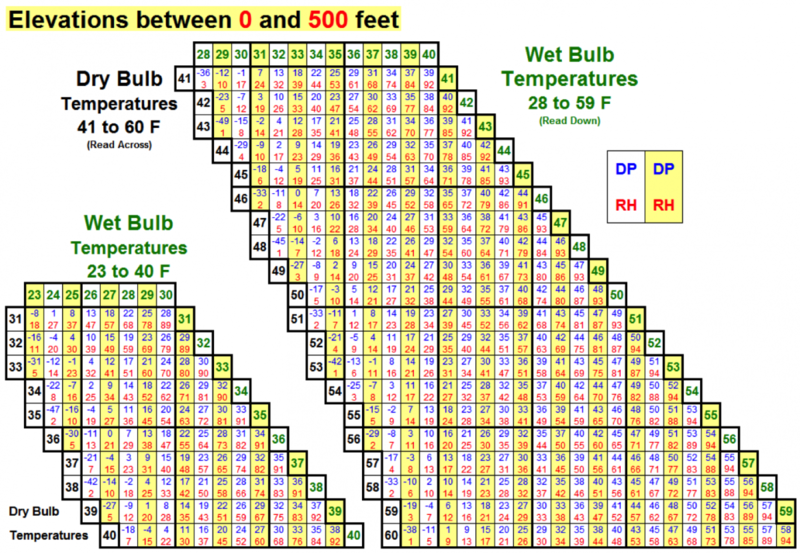 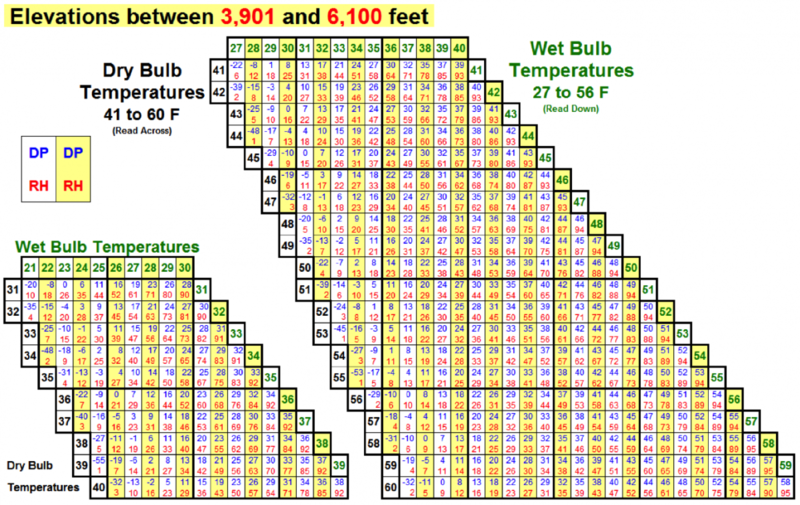 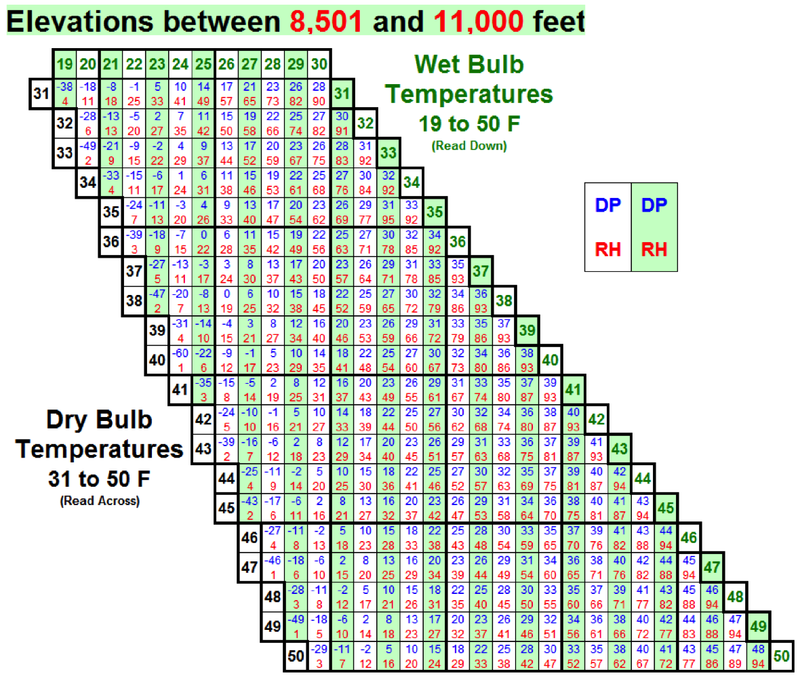 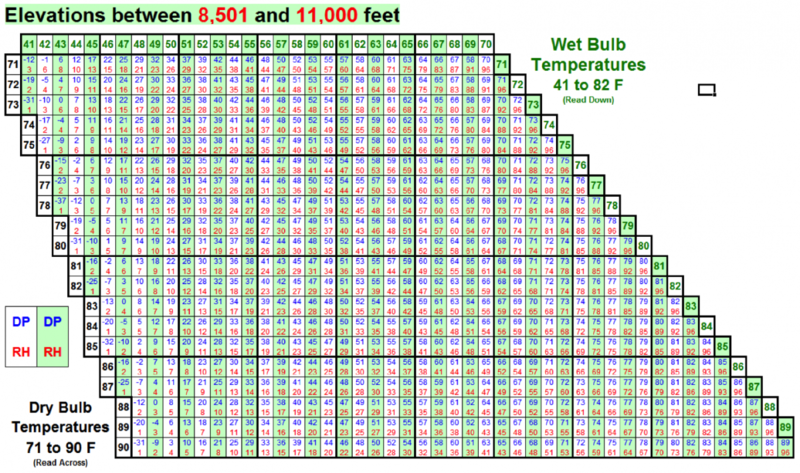 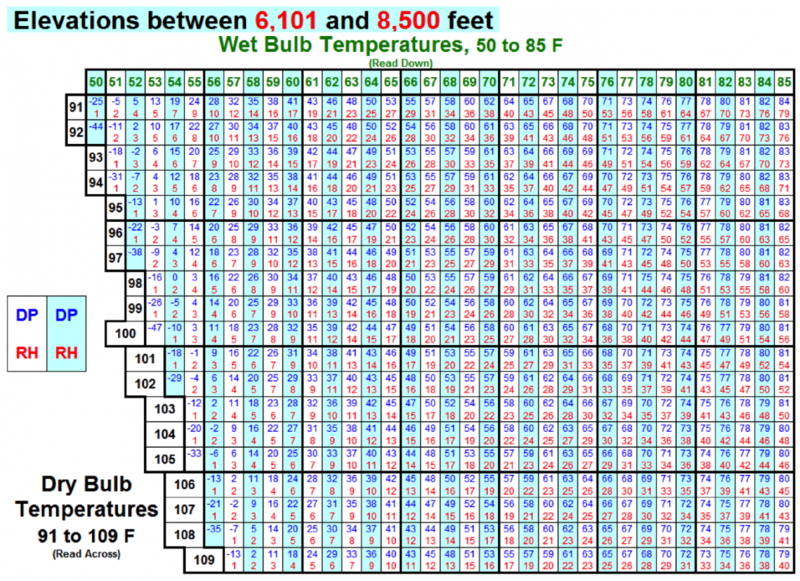 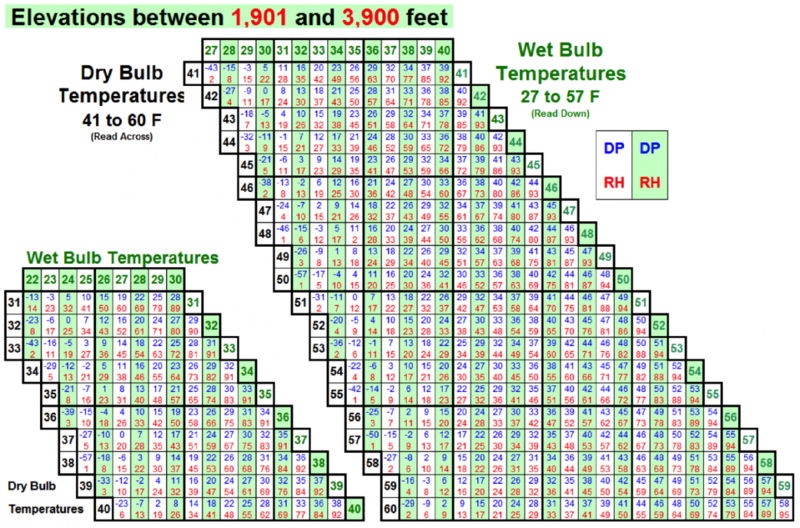 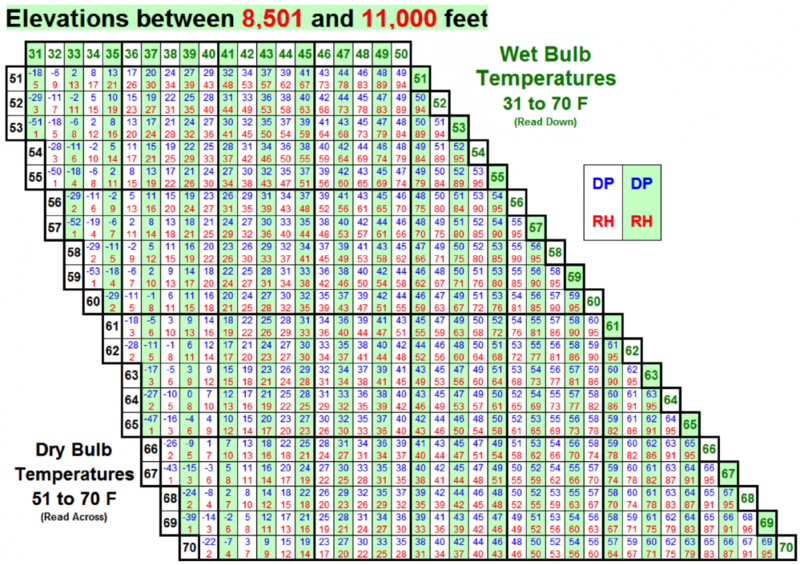 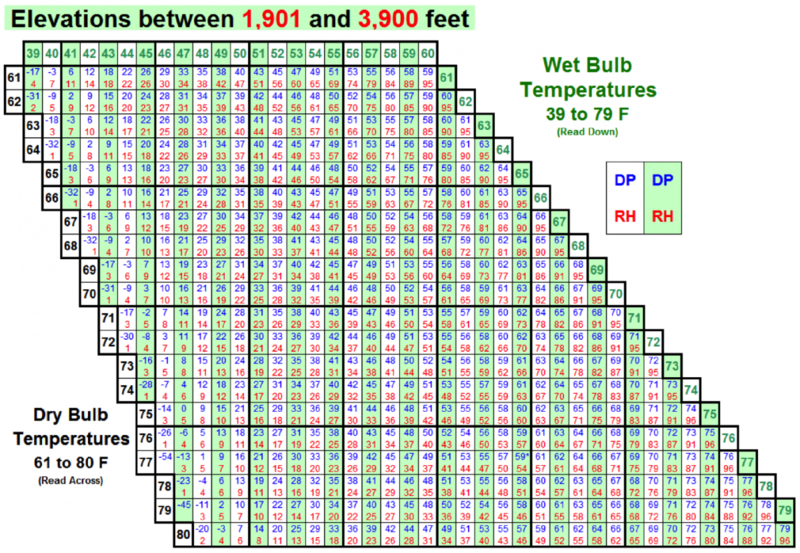 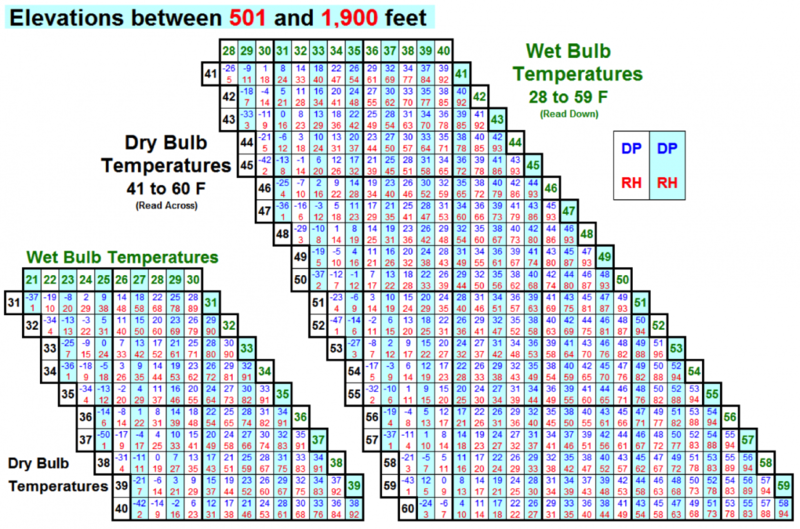 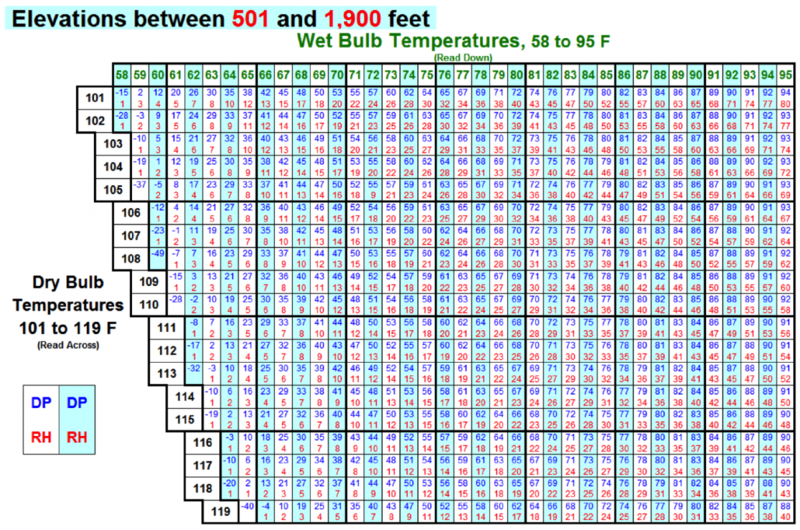 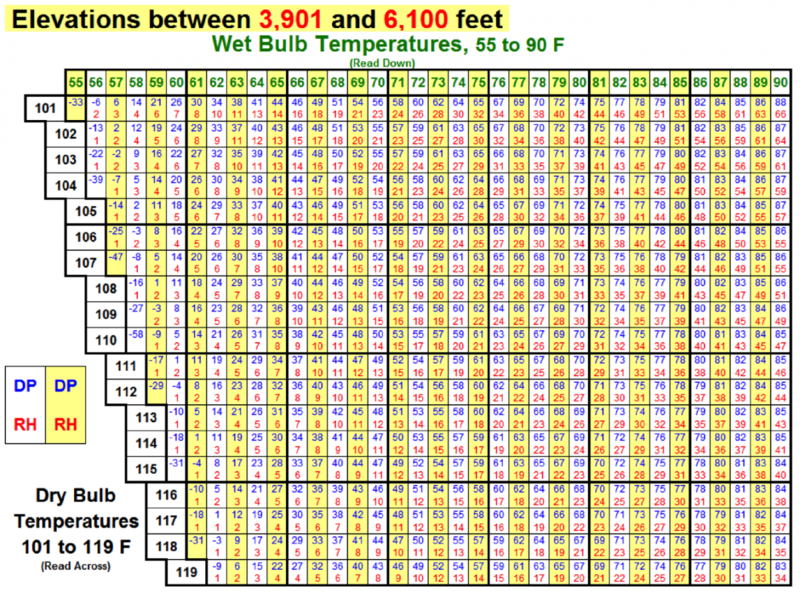 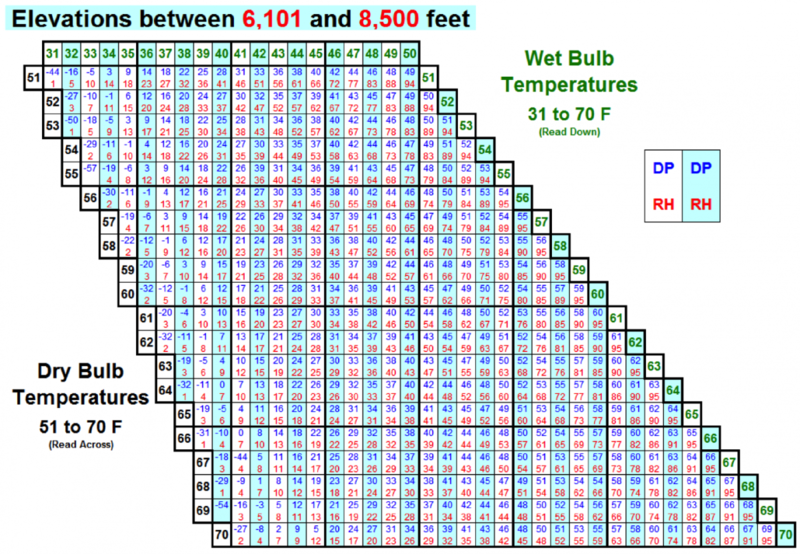 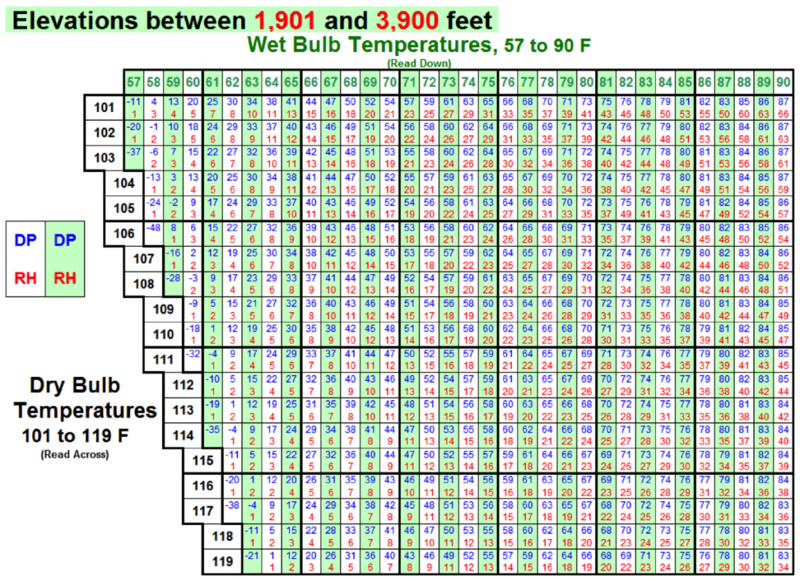 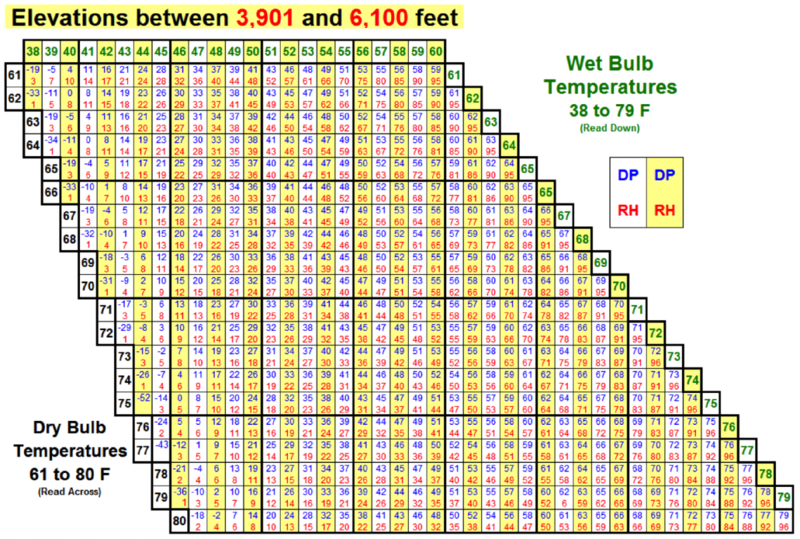 The following tables calculate Dew Point and Relative Humidity based on the observed wet bulb and dry bulb temperatures and the elevation at the site of the observation. 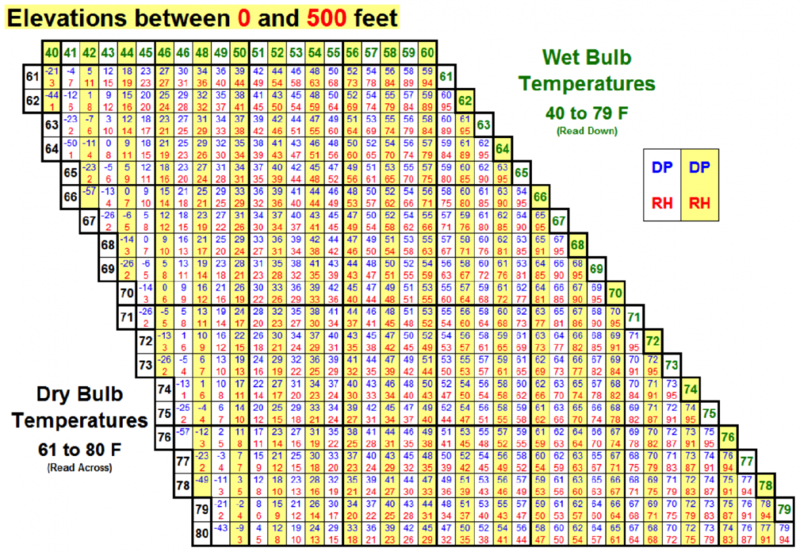 These can be calculated automatically using Wildland Fire RH Calculator Apps for iOS and Android available for free. 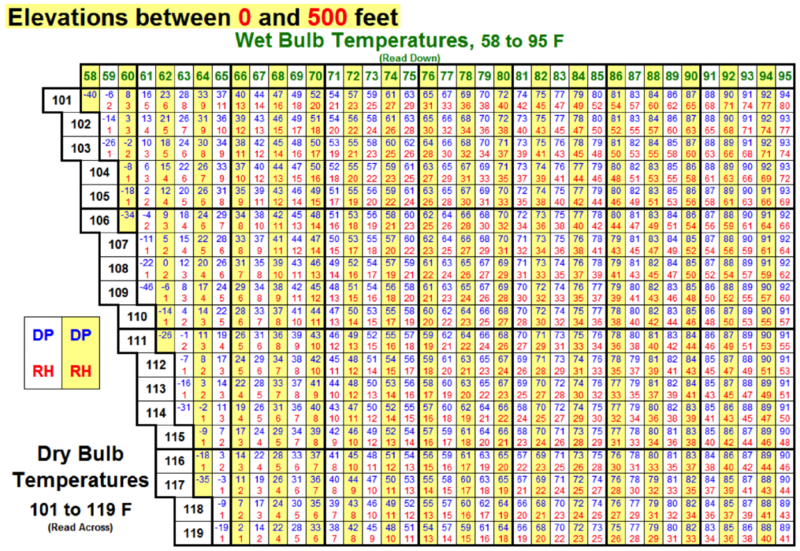 Click here to obtain a full set of tables in PDF form. 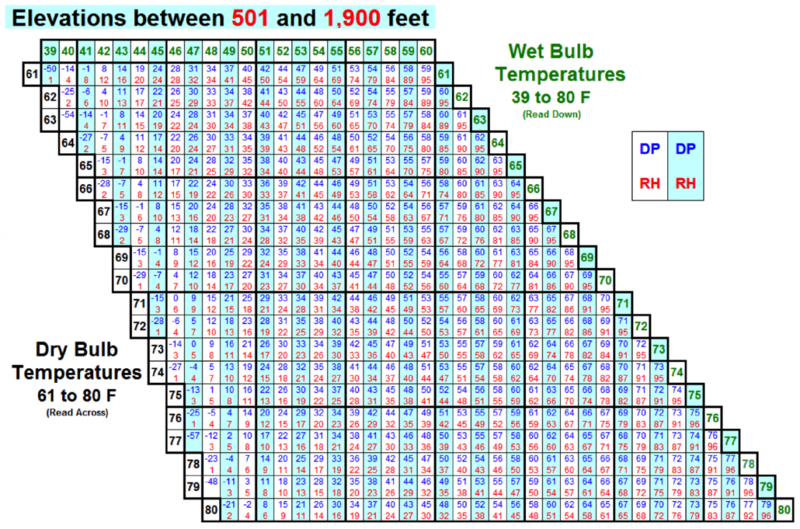 Another available tool is an online Dew Point calculator.